I like this pretty red! 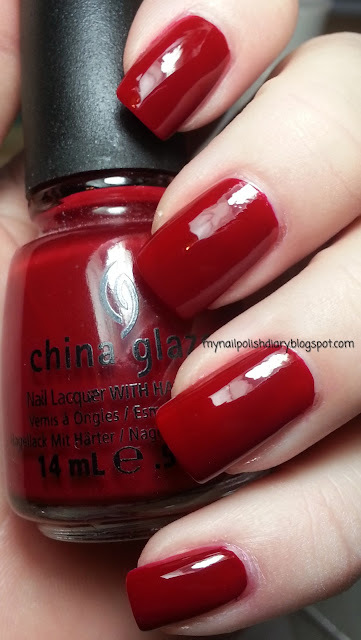 It reminds me of China Glaze Red Satin. So pretty! I could see myself adding a little sparkle over it.